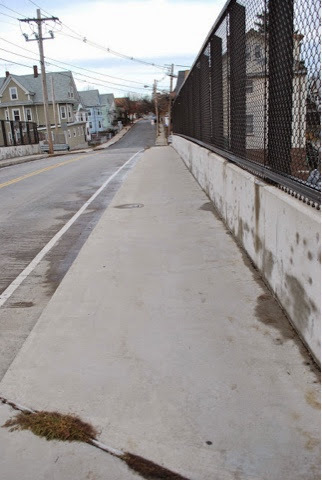 Community members are invited to discuss traffic calming plans, traffic safety, and other roadway improvements with City of Somerville staff and officials. Please join us Wednesday, Nov. 12, 2014, from 6 to 7:30 p.m. at the Arthur D. Healey School cafeteria, 5 Meacham St. For additional information, please contact Hayes Morrison, City of Somerville Director of Transportation and Infrastructure at (617) 625-6600, ext. 2522. I knew of many people living in the immediate impacted vicinity of Lowell and the bridge who opted not to attend the meeting who normally would, because the meeting was at the Healy School at the other end of Somerville. Some people concerned about finding the Healy School and parking. Probably a good reason why the meeting was not held closer to the neighborhood being impacted such as the VNA, Winter Hill School, or Kennedy School; or even City Hall. Yes, some of those impacted concerned residents have recently bought or rented in the neighborhood fairly recently; thus are not and were not familiar with finding or driving their way to the Healy School and concerned about parking there if they did venture there; but would of walked to a closer meeting place such as the VNA or Winter Hill School. Some others thinking the Healy School was chosen only to accommodate the non-neighborhood persons putting on the program. Do you know of a reason why the Healy School was used, as opposed to a place nearer to the subject neighborhood? The VNA, and other local meeting spaces, we're not available the night that Officials' schedules coordinated according to the Ward Alderman. So it appears the Healy meeting place was solely to accommodate everyone except the residents of Lowell Street and Bridge area. Hard to believe a local place wasn't available, another night, that would of served the best interest of the residents. I'm positive the turn-out of residents would of been much greater; including senior citizens and persons relatively new to the neighborhood; particularly given that the meeting start time was 6:OO P.M.
on a working day for many. The Ward 5 Alderman should of asked that another night be scheduled where more of the local residents would of been accommodated.